It's that time of year again! With the weather getting a little colder and a couple of snow flurries outside it feels almost like Santa's workshop here at Ann Clark Ltd.! Everyone is very busy putting the finishing touches on new products for next year, laying out new materials for catalogs and media and filling lots of orders for holiday cookie cutters! While doing some editing I came across this picture our designer took using cookie cutters to compliment a wrapped gift. 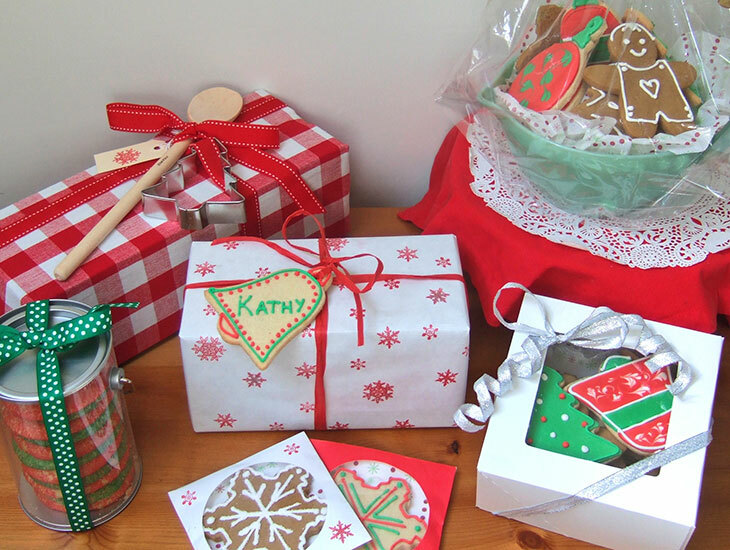 What better way to add a little extra to your specially wrapped Christmas gift than with an Ann Clark Cookie Cutter. They are definitely a simple way to dress up any wrapped gift, bottle of wine or platter of home made cookies. Please feel free to share any great ideas or pictures of interesting way's you have used cookie cutters!